An old favourite returns.. with a brand new look! Containing all the features, that made the original RC-1 a firm favourite within any guitarist's pedalboards! However with this sleek new look, it has reinvented the original RC-1! 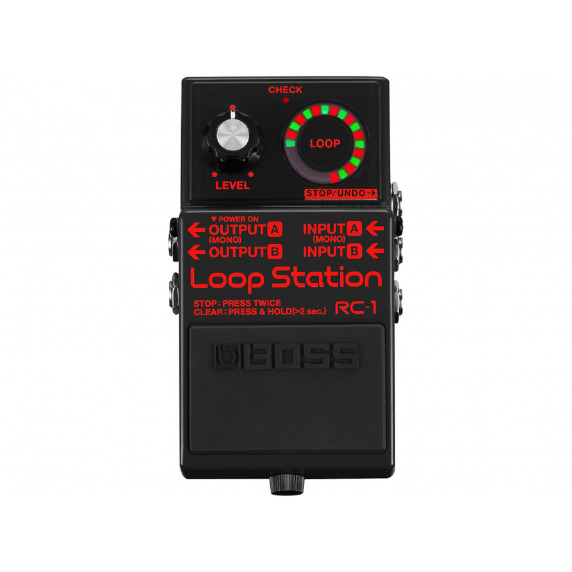 The RC-1 is a straightforward looper that is easy to operate. 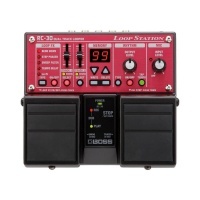 Experience the fun of looping when you record, playback, overdub, and undo or redo loops using this compact BOSS stompbox. And of course, the RC-1 retains the BOSS quality and performance that musicians around the world have come to expect and rely on. Everyone always wants to be “in the loop,” but with other loopers, you may not have enough recording time to capture every phrase that you want for your masterpiece. With its 12 minutes of stereo recording time, the RC-1 has the most stereo recording time in its class. Is the RC-1 the right choice for you? It doesn’t matter if you’re a beginner or a concert touring professional. The RC-1 is a great choice for any guitarist, bassist or keyboardist concerned with usability and simplicity while having lots of fun! 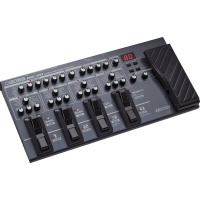 What are some applications for the RC-1? 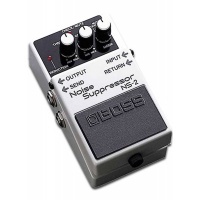 You can incorporate the RC-1 into your existing pedalboard or effects system. It’s also a great way to learn, practice or improve your playing by quickly and easily creating your own backing track to jam along with. You can also loop stereo instruments like synthesizers and have a ball playing along. Is that new loop indicator just eye candy? Well, yes and no. Sure, it’s cool to look at, but the new indicator on the RC-1 is also very innovative and useful. You can clearly and easily see the current status of the Rec/Overdub/Play modes. You can also switch the indicator to an alternate mode, which visually tracks your loop. During overdubbing and playback, the speed at which the indicator rotates directly corresponds to the length of the loop. What’s up with the stereo inputs and outputs? Apparently, some other products are based on the belief that mono recording and playback is good enough for you. 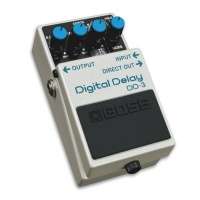 In this day and age, we here at BOSS believe that it’s not too much for you to expect a stereo looper. With stereo inputs and outputs, you can record and playback your creations in stereo, the way music was intended to be played, performed, and enjoyed. Why would I want an external footswitch? 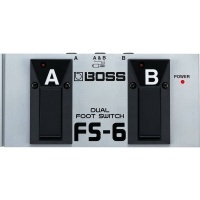 The optional FS-7 makes footswitching even simpler and easier! 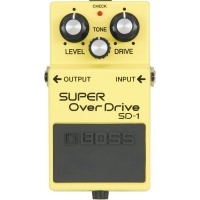 And, its compact size won’t take up much space on your pedal board. Pressing the “A” switch will stop the Rec/Overdub/Play mode. Hold down the “A” switch for two seconds or longer to erase the phrase. By pressing the “B” switch, you can easily undo or redo your phrase. It’s that easy! AC adaptor (sold separately)* Rechargeable Ni-MH batteries cannot be used. The RC-1 has been a long time favourite on my pedal board, the black design gives it a more sleek, modern look whilst retaining the same qualities which made me fall in love with the pedal in the first place! Loving the sleek new finish, just had to get one!